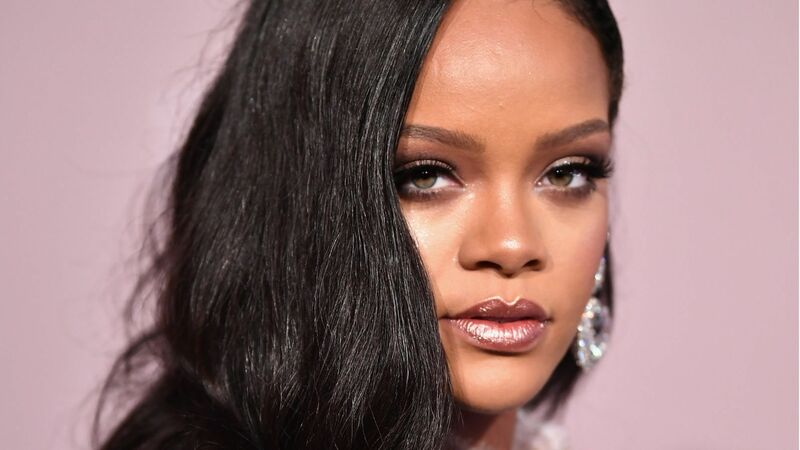 It’s been a few months since fans started speculating about Rihanna and Donald Glover‘s secret project after a smiley photo of them surfaced online and internet sleuths figured out that they were on set in Havana, Cuba, filming with the rapper’s “This Is America” music video director, Hiro Murai. Local outlets added some pieces to the puzzle, including the title — Guava Island — and the involvement of co-stars Letitia Wright and Nonso Anozie. Ever since, everyone on the project has remained tight-lipped, with Rihanna only describing it as an “exciting experience” when asked for details — until this weekend when Glover premiered the first footage from the film during his Pharos Festival in New Zealand. Although none of the actors posted the clip online, one festival attendee shared the wealth, and the preview looks like a musical explosion of island culture. Billed as “A Childish Gambino Film,” Glover is a musician who laments the vacation-free reality of his days. “We live in paradise but none of us actually have the time or the means to live here,” his character says. However, this film doesn’t seem to be a depiction of the slow island life you might imagine. The fast-paced clip speckles lively drumming and dancing with intricate work in a textile factory and a bag-over-the-head hostage situation. Honestly, it’s still a bit of a mystery as to what, exactly, Guava Island is, but check out the clip above to submit your best guess.